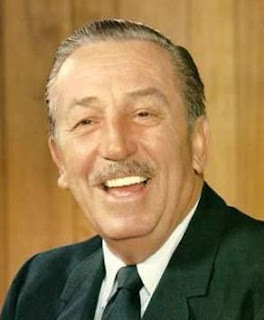 Not content with the first go round, Walt Disney has died again. The legendary creator of Mickey Mouse having laid dormant for all these years, awoke Sunday afternoon to a stunned crowd. Though the urban legend about him being frozen proved to be untrue, this apparently didn't hold Walt back, who said quite simply in a statement released to the press, "I've been laying there thinking about it and I think I deserved a better death." The second death was indeed spectacular as it involved parasailing into a flaming zeppelin. Nu funeral has been planned as he as the remains have been frozen for future analysis. To be continued? Hopefully no. Seriously, your pant are dead. That is if one can still classify them as pants. There are so many holes in them it looks more like a garter belt made out of jeans. I realize it can be hard to find pants for someone your size, but there comes a point when you just have to let them go take them out back and shoot them. Come, I'll even help you bury them in the backyard. I won't be a pall bearer, but I'll shovel the dirt over top. In lieu of flowers I'll try not to give the contents of my stomach. Tragic news, The Non-Review has learned from an exclusive tip that the body of Waldo has been found. 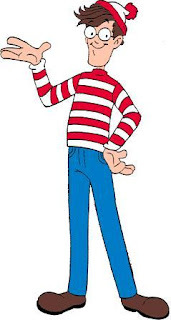 Many may remember that Waldo was kidnapped as a child and has been the subject of an intense investigation as to his whereabouts. Several sightings over the years have been published in numerous books; cameras catching poor Waldo in crowded scenes after the fact. On early Tuesday morning an unidentified body was found decomposing in the woods of small Wisconsin town. This comes after last years announcement that a movie based on his life has been put into production. The real star of The Wedding Singer, Ellen Dow, is still alive. A fantastic character actress, Ellen has been in numerous movies and television shows since '85. 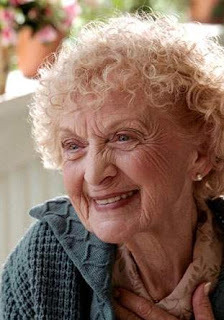 She's well known for portraying feisty grannies. She has also recorded a CD of songs written by her late husband. She's a favorite of the Non-Review and we salute her. Here's to another 91 years. Poor Waldo, I always had hope he would be found. Alas, he is gone. I will pull out a book based on his life and relieve the glee of being the one that would find him. to the rhythm of the boogie, the beat" in my head. Entertaining and informative as always. I am good with my pants...for now, and thank God I can stop with the Where's Waldo crap now. I knew they'd find Waldo someday. And my pants are being thrown out as we speak. 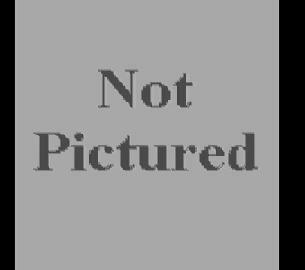 Thanks for not posting a photo of my pants. I love that old lady. I would def get paid in meatballs. I shed a tear for waldo. I will miss him. Man, how pissed is Roy Disney that his uncle just overshadowed him again!